The best about rice is that it’s the perfect addition to almost every main course; its culinary malleability alone has made it the staple of many national meals. In some parts of the world there is no such thing as a meal without rice. The countries that make up the continent of Asia actually use up to ninety percent of the world’s rice consumption. Our neighbors in the Caribbean and South America don’t fall far behind, where rice usually paired with beans. Even if the amount of rice eaten in the US pales in comparison to the leading regions of the world, it’s still nothing to scoff at. Demographic studies show that up to 55% of non-white and 27% of white Americans consume rice on a regular basis. Rice is incredibly popular in the world because, compared to other grains, it’s still relatively cheap to produce and there are multiple farmlands spread around the world that can actually sustain its production. Additionally, cooking rice is one of the easiest recipes to prepare on the spot (especially if you’re trying to improvise). For many people around the world, cooking rice was their first step towards becoming independent. The other thing that makes it so popular is that goes well with almost every main dish, be it a meat main course or a veggie main course. To top things off, it’s also dirt cheap to cook. Unfortunately, rice is far from being the super food it should be. Despite being tasty and pairing perfectly with every meal, eating a lot of rice really isn’t good for you. You see, rice, like its other starch-loaded siblings, has too many calories in the form starch. Unlike other calories, starch calories usually transform into sugar and become excess body fat. It’s estimated that single cup of cooked rice can hold up to 200 hundred calories! Eating a significant amount of rice usually result in significant blood sugar spikes. In the long term, eating white rice on a regular basis can cause you to have an increased risk of actually developing diabetes. If you’ve grown up eating white rice as a family tradition, this news alone is especially horrifying. These facts alone made plain white rice one of the top foods you need to avoid at all costs. Previously, if you simply couldn’t get rid of the craving to eat rice, I would recommend using brown rice as a more viable alternative. This is the story of how an undergraduate student and his mentor discovered something that could change the life of billions. Based in the College of Chemical Studies in Sri Lanka, this pair was trying to solve the issue of white rice’s massive calorie load. Sudhair James work meant that he would spent ages in the kitchen trying to find out which tweak could change the horrible reputation of white rice. What they discovered was nothing short of mind blowing. Using a relatively easy form of chemical manipulation, they were to develop one trick to reduce the calorie payload by half. But wait there’s more! This trick does more than cut the calorie count; it may bring other health benefits to your table. Start by cooking rice as you normally do. However, the critical moment comes right before you add your raw rice into a pot of boiling water. All you need to do is add a tiny bit of coconut oil to the boiling water before you add your rice. The exact amount varies according to the amount of rice you wish to make. James recommends using approximately 3% of the amount of the rice you’re about to cook. For example, if you’re cooking roughly half a kilo of rice, you’ll want to use one tablespoon of coconut oil. After adding the coconut oil, simply continue cooking your rice and let it cool in your fridge for about 12 hours. With this in mind, I recommend that you make the habit of cooking your rice in the evening. And that’s it! You now discovered the secret to making super healthy white rice. I know it almost sounds too good to be true. 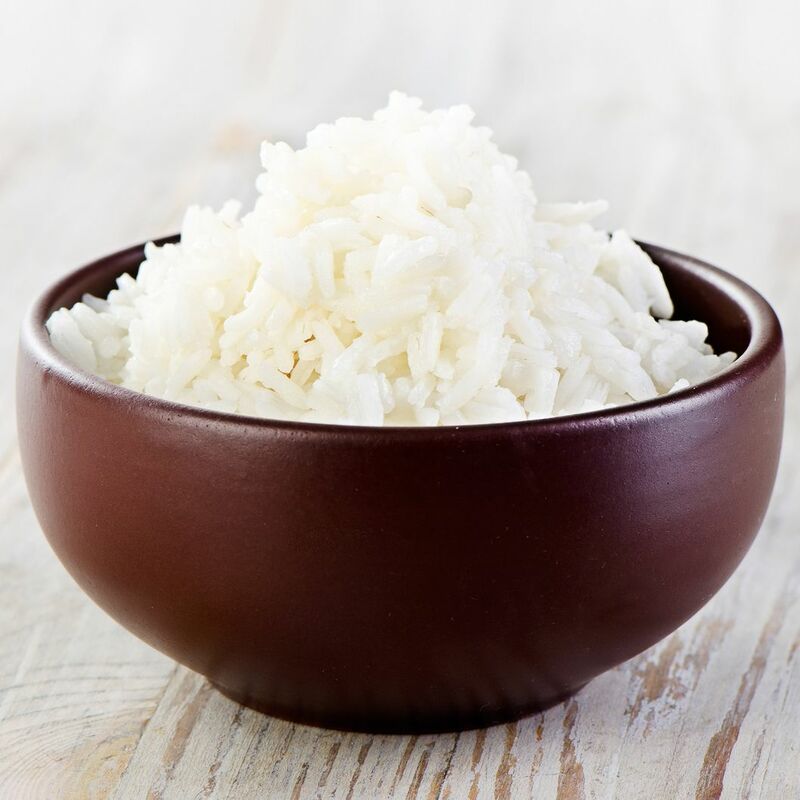 White rice holds a type of starch that quickly transitions to glucose and then glycogen. If you’re not able to burn that extra glycogen throughout your day, it quickly becomes fat. What James discovered was that you could transform the starch found in rice by changing the way he cooked it. By adding the extra coconut oil and cooling right after its preparation James was able to reduce the calorie count by half. Although several studies still need to confirm the results presented by James, it’s such an easy modification to do at home and it hold much promise for your family’s diet. Additionally coconut oil is always a dependable addition to have in your home.